A festival is a great way to bring people together, raise money for a cause or just have a good time. Whether you’re throwing a small festival for your school or a large-scale event that people will attend from miles around, use this checklist to make sure your festival runs smoothly. Set the Event’s Goals - Are you celebrating the end of the school year? Hoping to attract more people to attend your church? Raising money for a cause? Your goal will help you determine potential number of attendees, where to advertise your festival and more. Round Up Your Committee - Assign people to a festival planning committee — you’ll want folks with a variety of strengths, such as fundraising, event planning and communications. Decide Ticket Sales - Determine whether you’re going to sell tickets and, if you are, set a price point. This is also the time you’ll want to start researching potential ticket vendors if that’s the route you want to go. Genius Tip: Sell festival tickets with an online sign up. Select a Theme - You can base it on the season, like a traditional fall festival, or make it creative, like an end-of-school circus. Estimate Number of Potential Attendees - If you’re in your first year, this can be trickier to figure out. Look at similar festivals around the area as a starting point. Remember, it’s better to overestimate than underestimate. Determine Your Demographics - Figure out what age groups will likely be represented. 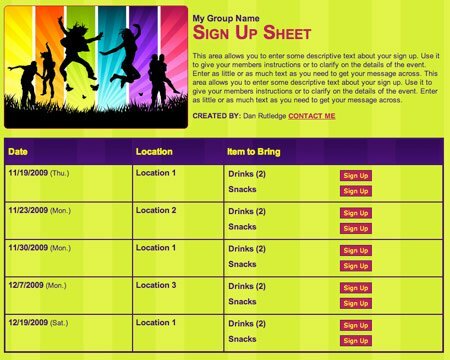 This will help as you begin planning what activities and entertainment you’ll offer at your event. Carnival-style game booths? Music stages? A mixture of both? Create a Fundraising Plan - More than likely, your goal is at least partially to raise money for a good cause. Festival sponsors are in demand, so begin soliciting donations early. Finding a title sponsor to help with costs can be particularly useful. Set a Budget - You may have to do some guesswork if your festival is new, so don’t hesitate to start small and be realistic. Determine the sources of your budget (fundraising, sponsors, donations, annual fund, etc.) first and see if there are any ways to get creative. Book Your Venue - Make sure you can hold the event where and when you’d like. Scout the location to ensure it can accommodate the equipment and activities you have planned. Get Permits - Find out if you’ll need any type of permit from your municipality to throw the festival. Will you need to close any streets or take up city parking spots? If so, a permit will likely be necessary. Plan Activities - Finalize the activities your festival will offer and if you will rely on staff members or volunteers to lead them. Genius Tip: Try these 30 festival game ideas for fundraising. Contact Vendors - You’ll probably need some help to make all those activities happen. Research and get quotes for stations such as a dunk tank, petting zoo, bounce house, etc. Count Volunteers - Decide how many volunteers you’ll need, and create an online sign up to coordinate them all by task and time. Book Entertainment - Finalize any bands, DJs, dancers, etc. that you plan to showcase at the festival. The same goes for any children’s entertainment — like a balloon animal artist. 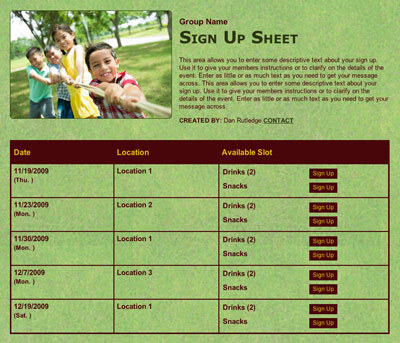 Finalize Food - Figure out what food you’ll serve, and whether you’ll want volunteers to cook or have the event catered. 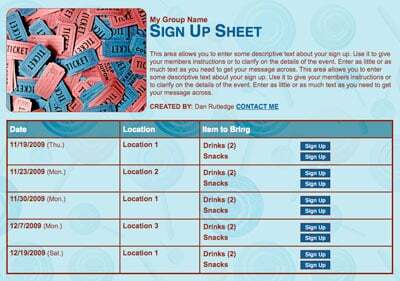 (Your event also could be as simple as selling chips and bottles of water.) Book mobile units like food trucks or ice cream stands. Have a Plan B - If your festival is outdoors, decide on a rain plan. Will you reschedule or hold the event in a nearby spot indoors? Hire Security Officers - If you’ve got a large festival, this is one step you won’t want to skip. Secure Permits - Order portable toilets or figure out other bathroom facilities for your event. Check with your municipality to see if laws require a certain number of bathrooms based on number of attendees. Apply for any necessary licenses if you plan to serve alcohol. Secure Sponsors and Raise Money - This is something you should work on continuously, but at this point, fundraising and sponsorship outreach should be in full swing. You’ll want everything finalized in the next couple of months. Ask local businesses to donate items or prizes for any raffles or silent auctions you have planned. Genius Tip: Need inspiration? Try these 40 silent auction item ideas. Advertise Your Festival - Choose a medium your target audience will be most likely to see. Some ideas to consider: social media ads, mailers or take-home fliers to donors/parents, event spots in local blogs/newspapers/television stations. Consider giving a few tickets away to local media to help drum up interest. Hang a banner near your festival site with date and time to capture nearby residents who may be interested. Finalize Activities - By now you should have a strong plan in place for all the activities your festival will include. Make sure you have a lead volunteer for each activity who has been properly trained on all procedures and processes. Don’t Forget Parking - Make sure your volunteer recruitment includes parking attendants. If you ask people to pay for parking, make it a donation to your cause or a related cause. Go Over Your Timeline - What time will performances begin? What time will silent auction or raffle winners be announced? Plan to stick to the timeline as closely as possible so your attendees know what to expect. Print Maps - If your festival is large, create maps to show attendees where to find specific booths, entertainment, food and restrooms. Don’t forget a first-aid booth and supplies. Have a Payment Plan - Decide how attendees will pay for activities and drinks at the festival — cash, tickets, tokens, wristbands etc., and acquire the necessary accessories. Finalize Food - By now you should have a good idea how many people may attend. Speak to your caterer or other applicable food service provider about any tweaks to final numbers. Send Final Communications - Communicate with volunteers about exactly where they need to be and at what time. Include a map if they’re likely to get confused. Genius Tip: Send custom reminders and messages through SignUpGenius. Establish Team Leads - Assign one or multiple people to serve as points of contact for the day of the festival if anything goes wrong or if volunteers have questions. Circulate their cell phone numbers among volunteers. Plan for Cleanup - Don’t forget what happens after your festival shuts down and secure the necessary items to make cleanup a breeze for your volunteers. Double Check Details - They say the devil is in the details. Have you thought of all yours? Do you have enough tickets, wristbands, tokens, petty cash? What happens if volunteers fail to show up on time (or at all)? Do a Weather Check - Discuss implementing the rain plan if necessary. Set up Booths or Tents - For large festivals, you may need to do this at least a day or two in advance. For smaller events, a few hours before the festival begins should suffice. Put Up Parking Signs - Make sure it’s clear where car traffic should flow so you don’t end up clogging nearby streets. Station Security Officers - If you’re using security officers, station them at strategic locations across the festival and discuss what the protocol is for any misbehavior. Pay Vendors - If you haven’t done this in advance, make sure you’ve made arrangements to settle up with any vendors or entertainers who still need to be paid. Check in Volunteers - Fill in any gaps in your plan after volunteers arrive and check in. Do you really need three people at the dunk tank or could you move one more person to the ticket booth? Stay Calm - Greet festivalgoers with a smile and keep everything in perspective. Even if everything doesn’t go according to plan, roll with the punches and remember you’re giving people a fun time with family and friends. That’s worth celebrating! Thank Volunteers - Have a station with gift bags for volunteers as they leave or another small token of gratitude. Consider a dedicated volunteer appreciation event at a later date for a large event. Genius Tip: Try these 50 low-cost volunteer appreciation ideas and gifts. Compile a Final Report - Tally up your expenses and how much money you raised for your cause. Use those takeaways to help you plan your next event. Thank Sponsors - Write and mail notes to sponsors and other event donors. Use information from your final report to show them how their patronage made a difference. Once the dust settles, you’ll be ready to start planning for next year’s festival!